Warren Gatland is waiting for a "concrete" offer before deciding on his next coaching venture after Wales. The New Zealander will oversee his final Six Nations campaign before leaving his post after 12 years following the Rugby World Cup in Japan. Gatland this week revealed he has held informal talks about the possibility of leading the British and Irish Lions for a third consecutive tour when they visit South Africa in 2021. 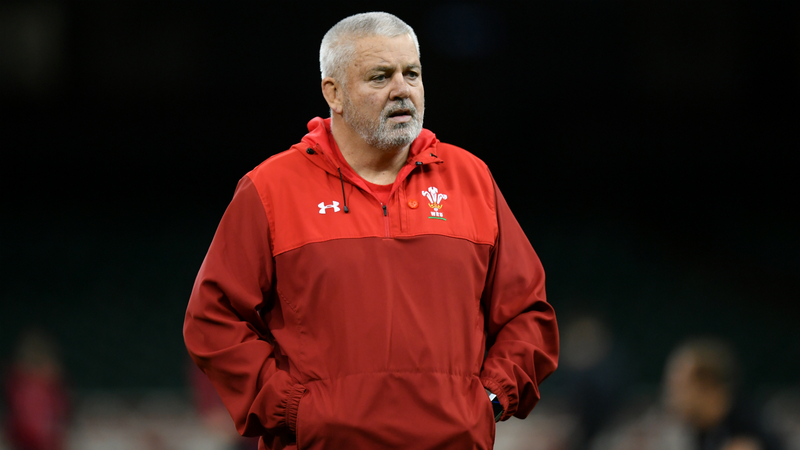 In terms of a permanent position, Gatland is hoping to take a short break after the World Cup before aiming to take a post in New Zealand, while also refusing to rule out another stint in the Premiership or venture to France or Japan. "I have had a couple of discussions but there is definitely nothing concrete. Maybe at the end of the World Cup I will be unemployed," he said. "But I am also aware that there are not a lot of jobs in New Zealand. That might not be an option. "So [it could be] back in club rugby in the Premiership, or France or Japan, or something like that." Under Gatland, Wales are two-time Six Nations Grand Slam winners and have another title to their name, while they reached the semi-finals of the 2011 World Cup. "I take a lot of pride in the fact we go out there and it doesn't matter who we play, they know they are in for one hell of a tough game," Gatland added. "I've watched and been to a number of games at the old Millennium Stadium and seen the All Blacks put out a second-string team against Wales. There is no way they would do that now. "We've put ourselves in positions where we should have beaten Australia on more occasions, but we've been pretty good against South Africa in winning five of our last six games. "Success for me is not always about winning, it's about over-achieving. "If you look at [Premier League] football and a team like Bournemouth, they've been successful because they are over-achieving in terms of what people expect. "If Cardiff City stay up this season they will have been successful and over-achieved because everyone expects them to get relegated. That's the way I look at things. "For me it's not always about winning, it's about becoming hard to beat, and if you do that you get a sense of pride in how you do things. Then it's about winning more often and developing your game."